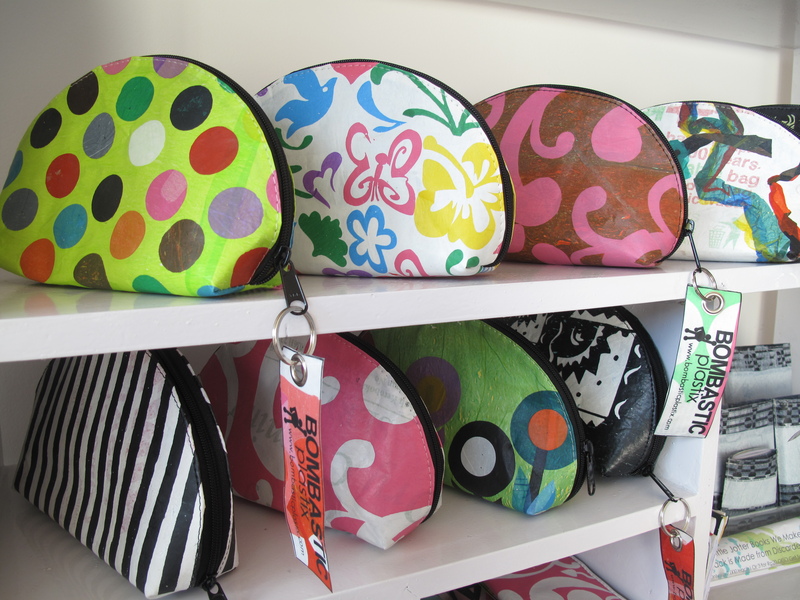 Bombastic Plastix recycles plastic bags and turns them into funky accessories. They are handed out gleefully by cashiers the length and breadth of the island, used once and abandoned. Their fate − to float down rivers, ride the waves, wash up on the beaches or smolder in black smoky fires.…. In Bali there is no escaping plastic bags. But there is always hope, and a small company called Bombastic Plastix is hard at work turning plastic trash into funky fashion accessories. Recycled products often get a bad wrap (no pun intended) because they are produced poorly with little thought for design. 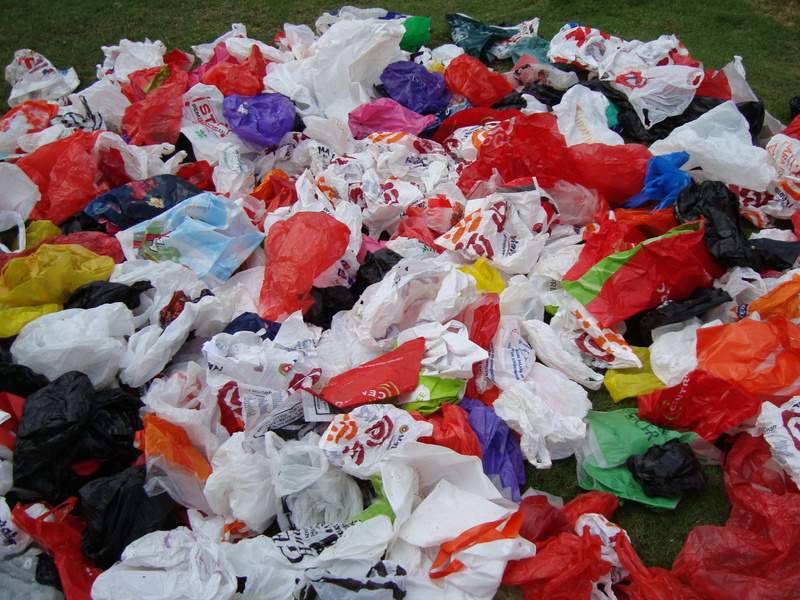 But Bombastic Plastix has turned recycling into an art form and their products – bags, purses, wallets, are attractive in their own right, regardless of their ‘greenness’. Let’s face it, most of us want to do our bit to save the planet but there is nothing wrong with looking good while we are doing it. Check out the website, its great fun and really informative, and you will love Sam – he is one super cool dude!